When Do Babies Start Seeing ? It’s fascinating to be new parents! The entire journey of upbringing your new born into a healthy grown up kid truly comes with a lot of responsibilities but is yet amazing. 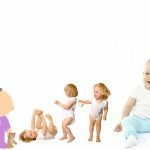 With growing time it may fill you with numerous questions related to your child’s development, and one among them is definitely when do babies start seeing. Vision is one of the most important aspects of development within the body, and it helps the baby to sense fast. For such reasons, a healthy development of the vision is one such milestone that parents expects to happen early with their child. When do a baby start seeing clearly? The eyes of babies promote their physical, mental and emotional development from the first day of its birth. It aids in providing little information to the baby and gradually the infant can view the world around. Just like other sense organs of the body, the baby’s vision also takes around 4 to 6 months to develop completely. Till then they are only able to see clear images, which are very much closer to them. By the end of 6 or 8 months, the baby is clearly able to view the world around just like the way you can see. Right after the birth, the eyes are developed completely physically and can view all the images but at this point in time, the brain is not able to process all the images efficiently. As a result, the babies can view the images with quite blurred vision. Over the time, the brain develops, and the baby is equipped with all the tools essential to process the visuals. It provides your baby the ability to see clearly and to administer the environment around. Your baby can visualize your face only when you hold him closer. The range or quality of clarity enhances with every passing month. When do babies start to see? The process of vision development. Initially, your baby is not able to focus farther than 8 to 12 inches, which is just far enough to differentiate and recognize the face of the person carrying him. At this stage, the baby can clearly detect shapes, light, and movement, but beyond that, most of the objects and images are pretty blurry to him. Overtime, the baby develops his vision and within a couple of months, it can visualize the images clearly as an adult can see. Month 1: At this age your baby is not aware of the technique to use his eyes in tandem, so they may even cross their eyeballs now and then. Within the first month after his birth, he will try to focus both the eyes and visualize a moving object, most often a fan. So whenever you pass a rattle in front of his face, it will transfix him as he experiences a newfound milestone. He may even enjoy playing with you with your face very close to him. You can try making an eye contact with him as this will make him feel contended. Month 2: Babies can actually visualize color from birth, but they find it little trickier to distinguish between various colors of the same tones, like red and orange. So if you are concerned for when do babies start to see various colors, then you will be surprised to know that it actually takes 6 to 8 months to develop them complete differentiation. For such reasons, they prefer black and white color patterns or contrasting color patterns. In the next few months, his brain will develop gradually, and he is then able to differentiate between various colors and patterns. Resultantly, he will show a preference for attractive primary colors. During his second month, you can encourage his development by making him see photos, pictures, toys, and books. Month 3 and 4: At this age, your baby begins to develop depth perception. Till now, it was difficult for him to identify an object’s shape, design, and position. At four months, he has developed to a great extent, the motor skills and the maturity of the brain to coordinate all the movements, which are required to accomplish a task. You can offer him with easy to hold toys, like rattles so that he can employ his developed skills to maximum level. Month 5: Even at this age of your baby, you will be still searching for a convincing answer to when do babies start seeing? The good news is that by the age of 5 months, your baby gains expertise at spotting extremely small items and tracking moving objects. He can even recognize objects by just looking at one of their portions. It also shows his budding comprehension of object permanence. Probably, he can differentiate between bold basic colors. Month 8: At this point, your baby’s vision has developed in depth perception and clarity to a level that an adult possesses. Although he focuses more on objects, which are closer to him, his vision is now potential enough to recognize objects spanned across the room. Soon, he may start recognizing subtle changes in the area. By the end of the 12th month: Your baby is now a grown up, and he can measure between near and far. He will start searching for his favorite things. It is a perfect age when he learns to balance between his eyes, brain and hands. Although, you cannot take an active participation in the vision development of your child, but still you can adopt certain ways that can aid in the healthy development of your child’s visualization. For this, ensure that the doctor regularly visits your child. The doctor will examine the alignment and structure of your baby’s eyes and his potential to move them accurately. He will also look for the presence of any symptoms of congenital eye conditions. If you or any other family member have a family history of an eye problem, then you must update the same to your doctor. Once your baby is 3 to 4 months old, the eye specialist will examine the visual strength of your baby’s eyes. For this, he may use some letter or pictures or attractive images. If your doctor witnesses any trouble in your baby eyes and is not convinced by an answer to when to do baby starts seeing, then he will recommend you to a pediatric ophthalmologist. It is vital to diagnose and treat eye problems at an early stage or otherwise there are few complications, which are impossible to rectify at a later age. Babies love human faces to all other images and patterns, so allow your baby recognize your face by keeping it close your face close to his, specifically when he is a newborn. When your baby is a month old, then anything you pass close to his face will fascinate him. There are multiple types of developmental toys available in the store, but if you are concerned about affordability, then you can make him play with everyday household objects and simple regular toys. Moving a rattle or anything bright in front of his face is again an excellent way to boost his visual power. It will also attract his attention, and your baby will respond and stay attracted towards the rattle for around 3 to 4 months. Besides this, you must also take a note of other things which interest your child visually, like the birds, ceiling fan, flutter leaves in the yard, or children jumping in the park and more. If you are deeply concerned about when do babies start to see, then you must encourage his interest in pastels and primary colors? Some fantastic stuff that attracts small babies has colored mobiles, colorful posters, attractive books and boards. Babies born with a low weight at the time of birth or delivered prematurely are at greater risks of meeting vision problems. It is because their eyes are not able to develop fully in the end stages of the development or during the end stage of the pregnancy. In such situation, your doctor must screen your baby for a condition, known as prematurity or retinopathy. This condition is practiced to check that the blood vessels supply an adequate amount of oxygen to the eyes and that essential eye nutrients are fully developed. If such issues are noticed at an early stage, then it is possible to rectify them completely without meeting any complications. If you notice any vision problem in your baby at a grown up age, then you must immediately call the doctor and have a checkup done, as early notifications can completely treat the illness. When do babies start to see – Common vision problems! Amblyopia (Lazy eye) – It is a situation of early childhood or infancy where babies are unable to adopt proper vision in any one of the eyes. It occurs because of improper communication between the eyes and the brain. In such situation, only one of the eyes receives the signals from the brain, and hence, the other eye is not able to perform adequately. Contact lenses, eye drops, contact glasses and sometimes even surgery is required to treat the condition. A similar situation can occur if there is any delay in treating cross-eye or strabismus. Strabismus – In this condition, there is a lack of proper coordination between the two eyes, and hence, the two eyes end up looking in different directions. Some babies are born with such condition while others may develop it when they grow. If you witness any problem in your baby, even after 3 to 4 months, then you should definitely consult a doctor or an eye specialist. Teary Eyes – Some newborn infants may have either one or both eyes having watery or sticky appearance, particularly after a nap. This situation occurs when the tear duct is blocked or is not developed properly. In most cases, the situation vanishes in few weeks or months, but if even after a grown age the baby faces such problem, then he may have to undergo a small surgery. Nystagmus – In this situation, the eyes move either in front and back directions, or in diagonal or horizontal directions. Such situation may occur right after the birth or may develop later. Ophthalmic Neonatorum – It is a kind of conjunctive eyes issue, which occurs within the initial days of a baby’s novel life. It is caused by a virus or a bacteria and can be treated easily with eye drops. Your baby may reveal any of the above mentioned problems or symptoms, and in such situations, you must take him to the doctor. If in case, your doctor witnesses any problem, then he will suggest your baby to undergo an eye test. The eye test will examine your infant’s eye balls, the presence of allergies and his ability to track an object with the use of both of his eyeballs.